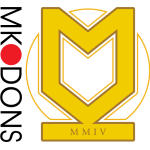 Newport County vs MK Dons predictions as they meet in League Two this Tuesday. Will the visitors be able to get their promotion push back on track? Read on for our preview of the match and all our free betting tips below. Back in mid-December the clash between Newport County and MK Dons was seen as being pivotal in deciding who would be able to maintain their form and challenge for promotion come the end of the season. Since then, however, both sides have deteriorated and the re-arranged clash this Tuesday evening seems to be more about attempting to re-capture the sort of form each side displayed in the first half of the campaign. 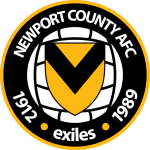 Newport County go into this match on the back of a morale boosting win over another side who are hoping to be playing League One football next season, Mansfield Town. That 1-0 win came on the back of upsetting Middlesbrough in the FA Cup in midweek, and with a third home fixture in a row, they will certainly be hoping they can maintain this recent upturn in fortunes. The Rodney Parade pitch has often been indicated as being a great leveller, and although many will highlight the hosts poor form since the start of December, the fact that only two visiting sides have emerged with the three points this season shows just what a factor home advantage can be. The next side hoping to challenge to return home with a maximum points haulage is MK Dons, however, things have not exactly been going to plan so far for the visitors. At the turn of the year, the Dons were slugging it out with Lincoln City for the top spot in League Two, but five defeats in their previous six outings means that they have dropped out of title contention and are currently struggling to keep the pace with the play-off race. The major change in fortunes has come as a result of their struggles at the back as the once mighty defence has now conceded 13 goals in their previous six matches. Despite the visitors poor form, the bookies have clearly marked them as the favourites in this fixture and it is an assessment we just cannot agree with. The home form of Newport, combined with the confidence boost received from their last two outings means that we think a home win is the best way forward. However, due to the odds available, there is space to be a little cautious in this one, so adding the ‘Draw – No Bet’ clause seems to make the most sense. 72% of Newport’s points have been earned at home. Newport did not concede any goal in their last four home matches. 27% of Newport’s conceded goals occurred in the first 15 minutes. MK Dons have scored in 87% of their away matches. 66% of MK Dons’ points have been earned at home. 34% of MK Dons’ conceded goals occurred after the 75th minute.